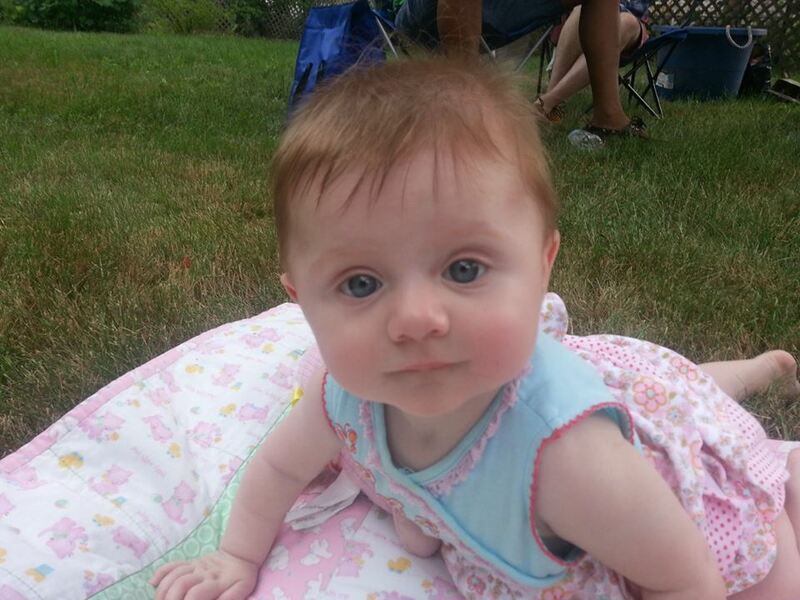 Lilli is six months old and the strongest baby in the world. She’s crawling. 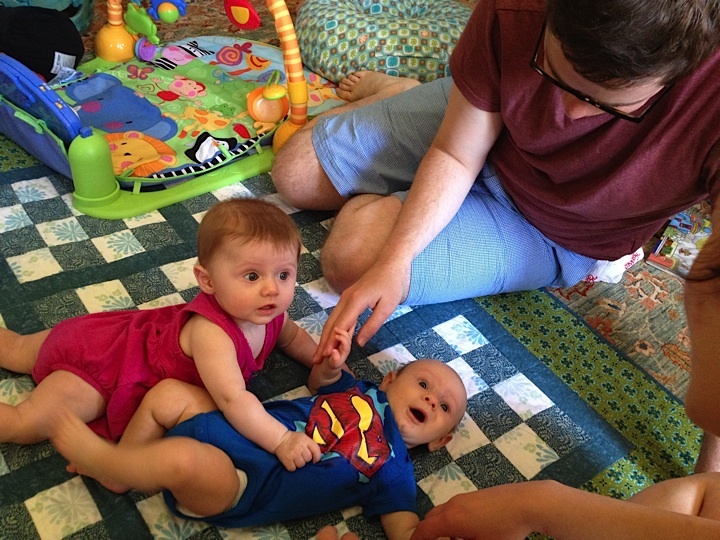 Changing her diaper and dressing her is like wrestling an alligator – minus the teeth. About a month ago we started to feed her. Well, tried to, anyways. 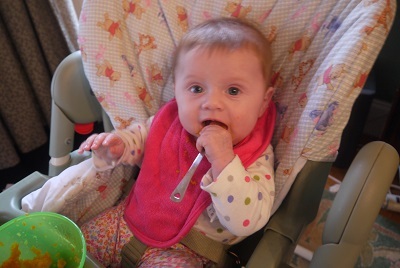 Although she loves the idea of using a spoon, it’s pretty clear that she’s not interested in pureed anything. Carrots she was noncommittal about; sweet potatoes were a no-go, the look she gave me with the avocadoes made it clear she thought I was trying to poison her. Cream of Wheat was clearly as bland to her as it is to the rest of us, and I really thought we would have a winner with the pears. We did not. It seems she wants to be eating, just not what I’m feeding her. 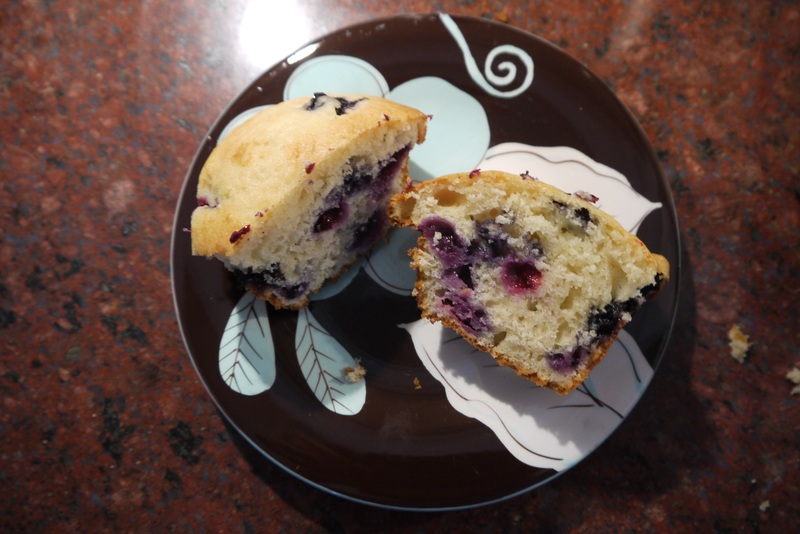 Take these blueberry muffins. I’d been on the hunt for a good muffin recipe. Every time I’ve had a home-baked muffin they’ve always been too dull and far too flat. They always looked homemade. I wanted a big, fluffy muffin like you buy at the bakery, and these are them. They are from the Flour cookbook (the first one) so you know it’s a good recipe. 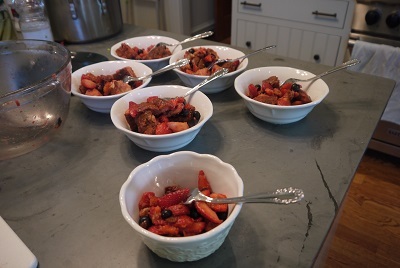 They originally call for raspberry and rhubarb, but Joanne Chang said you can use blueberries, so I did. I’m not a scientist, but I know it’s the four teaspoons of baking powder that made them puff and rise. I baked them once and we gobbled them up. The second time, I knew I wanted to share them with you. So I stood in the kitchen with Lilli on my left hip and plated the muffin. I got out a knife (a butter knife; come on, I’m not that bad a mother), cut the muffin in two and got out my camera. In a flash, Lilli reached down as fast as she could, poked her little fingers in the freshly baked muffin and shoved her hand in her mouth. All I could do was wipe the blueberry off her face. That’s when it hit me: It’s not that she doesn’t want to be eating, it’s just that she wants to be eating what we’re eating. So we’re doing things a little differently now. We sat and ate a green pepper the next day. Or, more like she held a big piece of it in her hand and sometimes got it into her mouth. Baby steps — well, baby bites. Position a rack in the center of the oven, and heat the oven to 350 degrees F. Butter a standard 12-cup muffin tin, coat with nonstick cooking spray or line with paper liners. Spoon the batter into the prepared cups, dividing it evenly and filling the cups to the rim (almost overflowing). I’ve found that a standard ice cream scoop works perfectly for this step. Bake for 30 to 40 minutes, or until the muffins are golden brown on top and spring back when pressed in the middle with a fingertip. 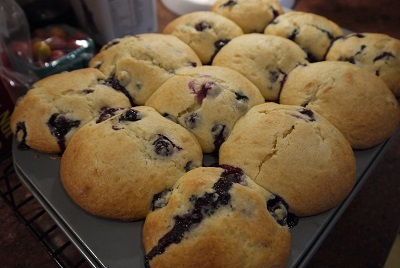 Let cool in the pan on a wire rack for 20 minutes, then remove the muffins from the pan. Note: The muffins taste best on the day they are baked, but they can be stored in an airtight container at room temperature for up to 3 days. If you keep them for longer than 1 day, refresh them in a 300-degree-F oven for 4 to 5 minutes. Or, you can freeze them, wrapped tightly in plastic wrap, for up to 1 week; reheat, directly from the freezer, in 300-degree-F oven for 8 to 10 minutes. When people ask me for a restaurant recommendation, my answer is always the same: Esperia Grill. First date? Esperia Grill. Friends in from out of town? Esperia Grill. Family-friendly? Esperia Grill. A place that is suitable for carnivores and vegetarians alike? Esperia Grill. On the face of things, it’s just a family-run Greek kouzina in the Brighton part of Allston-Brighton, where we live. It used to be a fairly standard Greek House of Pizza (it seems every town in Massachusetts has one), until one day the owners, Tim and Georgia, decided to add their own Greek recipes and start table service. As a former takeout spot, the counter is prominent; the restaurant shares its miniscule parking lot and bathroom with the Dunkin’ Donuts next door. 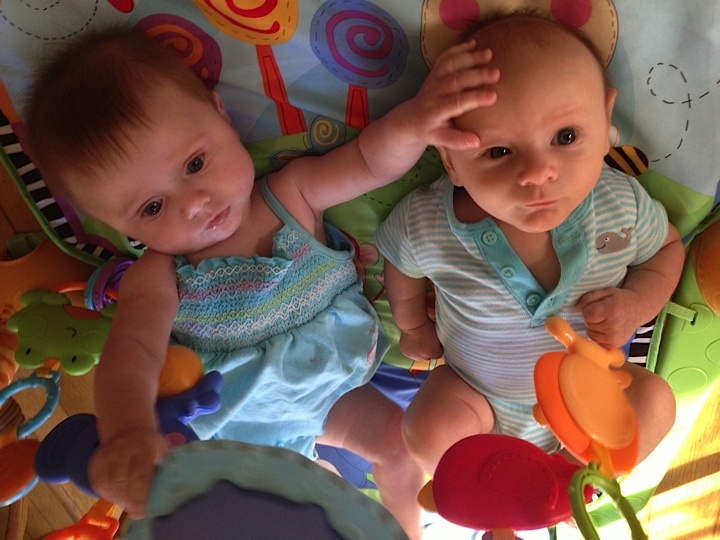 When our friends Russ and Marisa come in from Brooklyn, they now insist on going there. Rich once brought his boss and a pretty famous urban planner from New York City after an interview at WGBH, which is just down the hill. When Sylvie comes in for a visit from DC, the two of us always go there. We don’t even have a visit. We just sit in silence and enjoy each bite. It takes a lot to render the Shaffer sisters speechless, but Esperia does it, every time. And don’t forget to get a salad. Their dressing is so good that they now bottle the stuff. Rich loves their baked lamb shank special; you can smell the cinnamon and spice as it wafts around the table. I usually stick to the cold appetizer platter which serves at least two people. I always get the skordalia, and I’ll rotate the other three with maybe the tarmasalata, tzatziki, grapes leaves. Even the hummus and falafel is great, which I found surprising in a Greek place. 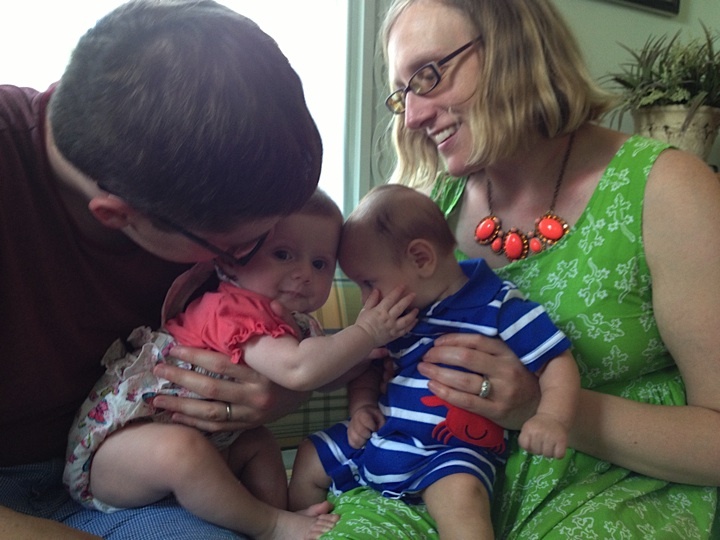 As a family place, they are closed on Sundays, and every July they take off two weeks to visit family in Greece. So last week, when I had a hankering for Esperia but knew they were on vacation, I made do in my own kitchen. It was too hot to make their lemony potatoes (I’ve started to use this recipe as a blueprint), but I had green beans in the house from the CSA so I decided to braise them in tomato sauce like they do for my second-favorite Esperia side. My beans were a bit tougher and wider than green beans — I think they call them Romano beans — so a little braise to soften them was necessary. I found this recipe in a Marcella Hazan cookbook. I know, I know. She is Italian, as is this recipe, and I wanted Greek, but it’s close enough and definitely worth sharing. 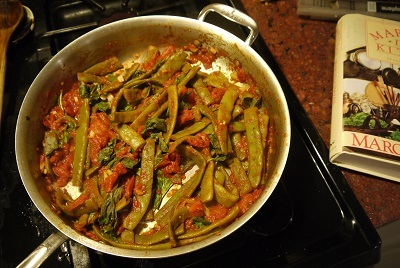 In fact, when I was on the phone with Sylvie and said I had to go and braise some green beans in tomato, she said, “Ooh, like at Esperia”. Yes, exactly. 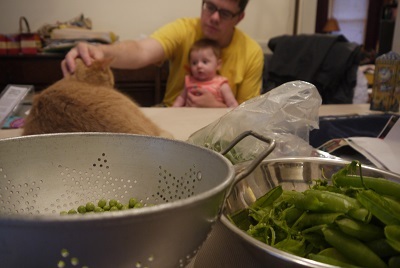 You can serve these beans on their own, but Marcella says they can also be served as a pasta dish; she suggests penne or rigatoni, although I honestly can’t imagine it that way. Her recipe calls for either fresh, ripe tomatoes or canned Italian peeled plum tomatoes, cut up with their juices. The first time I made this, I actually had a very small container of premade Pomi sauce – made with just plain tomatoes – leftover from a summer squash pizza Rich grilled for us. The second night I used all of a 28 oz. can of plum tomatoes and cut them up over the pan with kitchen shears. Be sure to wear an apron because things can get very messy. If using fresh tomatoes, rinse them in cold running water and drop them into a pot of boiling water. When the water returns to a boil, cook for about a minutes, then drain and allow to cool. 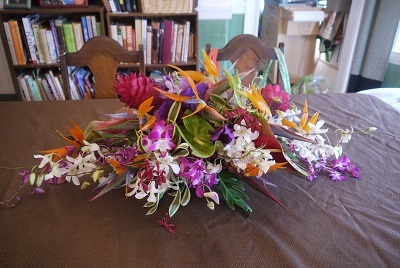 When cool enough to handle, peel them and cut them up in large pieces. 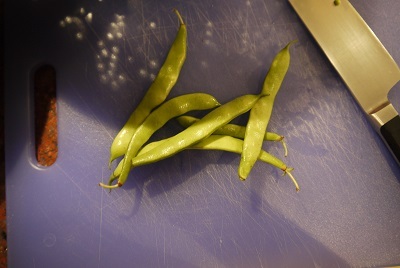 Snap off the ends of the green beans and rinse the beans in cold water. Choose a sauté pan with a lid that can later accommodate all the green beans. Put in the olive oil and garlic. Turn on the heat to medium and sauté the garlic until it becomes colored a pale gold. Add the tomatoes, turn up the heat, and cook for about 5 to 6 minutes. Add the green beans, turn down the heat to medium, sprinkle with salt and pepper, and cover the pan. Cook, stirring occasionally, until the green beans are tender but firm. (It should take less than 30 minutes from start to finish for this dish.) If, when the beans are done, the juices in the pan are watery, remove the beans with a slotted spoon or spatula, turn up the heat, and boil away excess liquid. Then return the beans to the pan, mix in in the basil leaves, and serve. Note: If using this as a pasta sauce, do not add the basil to the pan. When the pasta is cooked and drained, toss with the beans and all the contents of the pan, add the basil leaves, toss again, sprinkle with the extra 2 tablespoons of olive oil, and serve immediately. It’s CSA season again, and while I love getting my produce straight from the farmer, this year I have come to appreciate the best feature of getting my week’s veggies in one box: I don’t have to schlep baby to go grocery shopping. No car seat, no stroller, no grocery bags hanging from the stroller handle by a Mommy Hook, no figuring out how to fit baby and produce into our tiny car. Easy peasy. Convenience and time saving also led me to bite the bullet and buy a new food processor this week. I use my food processors a lot in tandem with the CSA. I used my mini one to whirl up the caper and anchovy dressing for my radish and white bean salad. 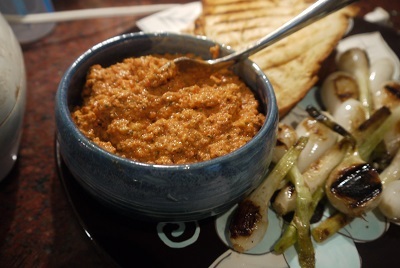 I used my 12-year-old Black & Decker to whip up a romesco sauce to go with grilled spring onions, a Catalonian classic I got from Garum Factory. Unfortunately, the Black & Decker is still missing the spindle for the slicing and grating blades. I’ve made do for a while, but this week, when I found myself standing at my counter, grating the potatoes and zucchini for these latke waffles my friend Cara invented, I’d had enough. And so, using an Amazon gift card JewishBoston gave me a gift card for a job well done, I bought an 11-cup Cuisinart food processor. It even has a dough setting! It’s shiny and pretty and now lives on my counter. And so, armed with my new toy, I took on this Ottolenghi recipe, which is the best thing I’ve ever done with fresh peas. (I’m sure it will be excellent with frozen peas in the winter, as well.) He explains this recipe was inspired by the Palestinian classic shishbarak – ravioli-like dumplings stuff with meat, topped with a hot yogurt sauce. Unfortunately, fancy as it is, my new device doesn’t have a “shell peas” setting, so took a looong time to shell two pounds of fresh peas. 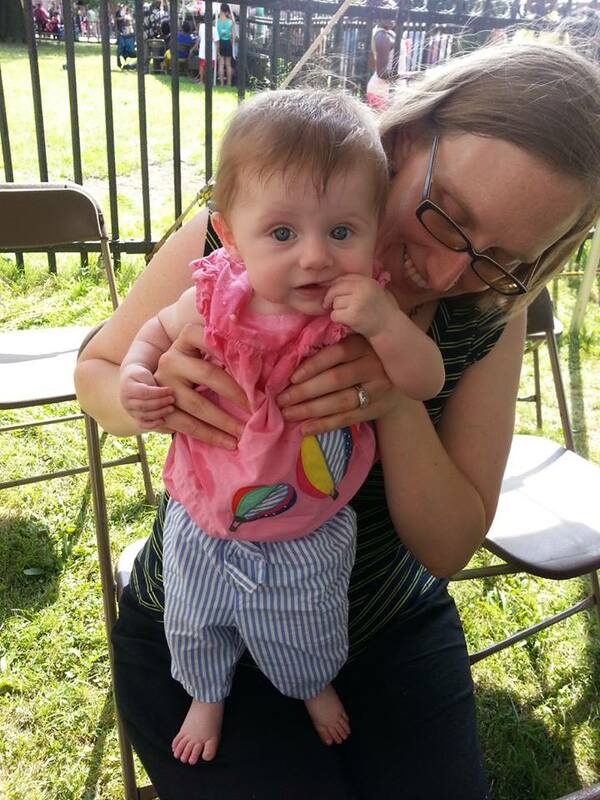 At least I was able to do that at the table with Lilli. It will be awhile before Lilli can shell anything; for now she’s working on petting the cat. Minus the pea shelling, this recipe came together in less than 20 minutes, including waiting for the pasta water to boil. Mark this another one for working parents, and people who are short on time in general. Even though his recipes are generally perfection, I did change a few things. I substituted pistachios for the pine nuts, only because I couldn’t find any pine nuts in the house. It worked out great. To save time, I cooked the peas in the same water I used for the pasta. Ottolenghi calls for conchiglie, which are shells, but I had fusilli in the house, so that was that. And, just to be clear, use Aleppo pepper when he calls for a Syrian pepper. The two pounds of peas became 14 ounces post-shelling, which I decided that was close enough to the one pound this recipe calls for. Put a large pot of water, salted heavily, on to boil. Put the yogurt, 6 tablespoons/90 ml of the olive oil, the garlic, and 2/3 cup/100 g of the peas in a food processor. Blitz to a uniform pale green sauce and transfer to a large mixing bowl. Cook the pasta until al dente. As the pasta cooks, heat the remaining olive oil in a small frying pan over medium heat. Add the nuts and Aleppo pepper and fry for 4 minutes, until the oil is deep red. (If you are using pine nuts, the nuts will be golden.) When your pasta has 5 minutes left of cooking, add the rest of the peas to the water. Drain the cooked pasta and peas into a colander, shake well to get rid of the water, and add the pasta and cooked peas gradually to the yogurt sauce; add it all at once may cause the yogurt to split. Add the basil, feta, 1 teaspoon salt, and ½ teaspoon white pepper. Toss gently, transfer to individual bowls, and spoon the nuts and their oil.